LISTENNOW! 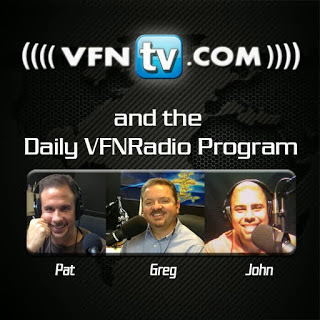 Greg, John, and Pat discuss how Christians are being targeted as a domestic hate group by the United States Army. According to CBN News “Soldiers at a pre-deployment briefing at Fort Hood say they were told evangelical Christians and Tea Party members were a threat to the nation, according to FOX News.” It was also reported that soldiers were told that the country was being torn apart by groups like the American Family Association. They continued to talk about the importance of having a proper perspective of Israel and the Jews. CBN also reported that “soldiers were reportedly told donating to such groups could lead to punishment under military code because some of them had been classified as hate groups”. This is the same thing that happened to the Jews in Germany. They began targeting the Jews because of their wealth and success. We are seeing the United States Army targeting Christians as domestic enemies. The devil hates you just because you are a Christian and follow God. They continue to discuss not ruling out that this can’t happen to Christians in America. All we have to do is look back at our nation’s own history. The Jews did not recognize that although they were the movers and shakers that it could all change overnight. They continued to discuss the progression of the tragic things that occurred to the Jews. They were taken to the ghettoes, then on the cattle trains, then “gas” showers, and then to the ovens. This was absolutely horrible. We need to learn from what happened to the Jews. Some were killed some were starved to death. It doesn’t have to end this way. You can turn to God and repent. God loves you and has a plan for your life. If we humble ourselves and repent before God then He will forgive us and heal our land. “You foolish Galatians! Who has bewitched you? Before your very eyes Jesus Christ was clearly portrayed as crucified. I would like to learn just one thing from you: Did you receive the Spirit by the works of the law, or by believing what you heard? Are you so foolish? After beginning by means of the Spirit, are you now trying to finish by means of the flesh?” They continued to ask the question who has bewitched you, who has cut in on you. Did you think you can continue to finish what you started in the spirit by mere human effort? What has begun in the spirit needs to stay in the spirit. It all started by God doing something through you and now it has become you trying to do something through God. The flesh counts for so little that Jesus himself said to cut parts of your body off if it is going to cause you to sin and eventually send you to hell. It is better for you to enter heaven maimed then for you to enter hell whole. You need to remain humble and pursue an abiding relationship with the Lord.